Order Attributes extension allows you to efficiently collect and use all the necessary order info by adding custom fields to checkout page. Get all the order data you need during checkout and process orders faster. Stop calling or emailing your customers to get additional data - add more fields to checkout page and receive all the necessary information at once with advanced Magento checkout fields manager tool. For example, you can add to your Magento order comments field to let customers leave their feedback. With the Magento 1 order notes extension you get a unique chance to customize checkout page in your Magento store and make customers happier. First, order process at your store becomes much faster. Secondly, you gather required Magento order comments and other order-related information and use it effectively, e.g. improve your customer service by collecting priceless info from Magento checkout comment field or offer the products relevant to customers' demand. Add fields to Magento order grid to display all necessary attributes in one place and have a convenient access to the data. Sort and filter orders by the custom attributes for easy reporting. You can fill in custom Magento order attributes when creating orders from admin panel. Edit order attributes' values after the order was placed, right from the order view page in admin panel. When an order is edited, the attributes are copied into the new order. Why is it useful? - Registered customers will not need to enter the same information with each order. Feel free to automatically apply default value for cases, when the attribute field was not filled in or if the attribute is set to be not visible on front end. It is possible to separate control of permissions for editing attributes within an order. This feature comes in handy when you have many store admins to do different work. Now you can hand pick the users who would be able to edit order attributes, and restrict this possibility for others. With the help of calendar option admin users can quickly specify all date type attributes when creating orders in the backend. Order attribute values are now restored if something went wrong when you create orders in the backend. You can add unlimited number of Magento custom checkout fields. 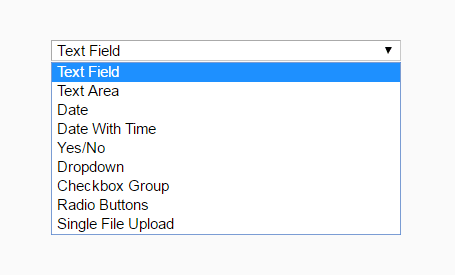 Available field types: text field, dropdown, checkboxes, dependable dropdowns, date with time, radio buttons and many others. Now the file upload input type is available. It enables customers to upload/attach files during the checkout process on any checkout step. The fields can be added to the order-related emails and PDF documents (shipment emails, invoices and packing slips). Choose at which store views to display the fields. You can also display the attributes on order view pages both to admins and customers. Add any order attributes you need to HTML print-out documents on the customer order confirmation page. You can show additional attributes only when a specific shipping method is selected. E.g. Display a field for order comments in Magento 1 when a customer chooses self-delivery option. Support of Paypal Express checkout. Magento order notes can be used in any email template which has order object (for example order confirmation email), with possibility to process them by functions. Values of custom order attributes are available via Magento API with "sales_order.info" method. Works both via SOAP API v1 and XML-RPC. Order attributes functionality is compatible with One Step Checkout extension. You can place additional fields on Magento custom checkout page, which shows all 6 standard Magento checkout steps on one page and lets you configure them according to your requirements. One more extension for collecting customer information is Customer Attributes extension. Place fields on registration page to know age, preferences and interests of customers, receive documents and all other information you may need. Order Memos and Attachments module enables you to make memos, add important data (like processing or actual shipping dates) to any orders after customers or admins have created them. There is also a compatibility with Special Promotions Pro and Loyalty Program extensions. You can use order attributes (which has either text field or text area catalog input) when setting up the conditions of extensions. To see the way Order Attributes extension works please watch the review. How to get/output order attribute value via PHP code? For this, you need to use an appropriate code line. Go on reading to copy the code. Is this plugin compatible with one step checkout extensions? Usually Amasty modules have no conflicts with other 3-d party modules, but in case there will be any, just contact our support team. The module is 100% compatible with our One Step Checkout plugin. Does this extension add attributes to existing checkout steps or to custom ones? The Order Attributes extension adds new checkout fields to existing steps only,e.g. : business information, a delivery date, marketing questions, checkout comment, etc. Are dependent attributes supported by the module? Yes, Order Attributes extension supports dependent drop-downs. Conditions based on shipping method can be used as well. Can I use created attributes in order-related emails and documents? Yes, it’s possible to add custom checkout fields to the order-related emails and PDF documents (shipment emails, invoices, and packing slips). Can I use Order Attributes only in one store in a multi-store configuration? Each order attribute created by our extension can be seen on one store view and hidden on another. Can I use different order attributes in my multiple store views? Yes, it's possible to set different add sales order attribute per different store views. Does this Order Attributes module work with SOAP API v.2? Unfortunately, only SOAP API v.1 is supported. Can a created attribute be displayed on the Order Grid? Yes, it can be displayed. To get all order attributes to be displayed on the grid you need to make changes in the 'Attribute Configuration' section. Read on to see the screenshot. Excellent support and great plugins! Quality plugins! We required a bit of custom work to get this one to work on our One Step checkout, but support fixed it and got it up and running. Works perfectly and brilliant support! This checkout module conflicted with another extension used with checkout. They have a built-in fix for any common developer extensions. Their support helped out quickly and helped me get thru the setup, even though I probably should have figured it out myself. Great Extension for your Checkout! Great little extension for your checkout, has enabled us to collect extra information and pull that into our order email and PDF! I have installed several Amasty extensions over the years, Order Attributes being the latest. As with all the other Amasty extensions I have used, this extension works as described and does not interfere with other extensions. With this and other extensions, technical support has been excellent -- usually needed to help me correct problems with non-Amasty customizations we have made. Support has been first-rate and prompt. I am gradually replacing all non-Amasty extensions with ones made by Amasty, wherever possible. As we upgrade our website from Magento 1.7 to Magento 1.9, Amasty's solid structural design makes that transition trouble-free, unlike extensions from some other providers. These professionals really know how to build software and are eager to help me get my job done. A great extension with even greater support! After buying this and onestepcheckout I found out that these two were not compatible. Amasty fixed this for me very quickly! This exension is really a "must-have": easy to configure and very very useful. Moreover Amasty support service is perfect: they answer quickly and help you if some issue occur. Very useful and powerful extension, easy to install and to use. We had a small issue because of another extension's conflict, but Amasty helped us to fix that. Amasty has the best documentation of any of the companies I've bought extensions from. Once we've got our new store up an running I'm going to go back and read the documentation for all the extensions I've bought from them to see if I've missed any features that would be useful. Aside from allowing us to add information to the checkout process, I found that the Order Attributes extension solved another problem for me. We use a drop shipping extension that sends purchase orders to our suppliers. Sometimes we have to send special shipping instructions in the purchase order, like "Use least expensive shipping". There are a few different instructions and having to type them in each time they're needed is extra work and there's the chance of typos. Thanks to Amasty for providing awesome extensions and excellent support! This is the third extension with such functionality that I bought during last 2 years. And I must admit that it is the best quality-price extension that I’ve tried. It definitely worth spent money. Recommend! This is a must for any Magento project with custom fields / attributed that needs to be linked to the Magento API. Thank you for you great and fast support! The extension works out of the box. It’s nice when you don’t have to contact support right after the purchase like it happens with every other module. We got it running ourselves and it works flawlessly. Configuring options takes some time at the beginning, but after that is done you can just enjoy the new tool. Developers really hit a home run there! You now what? I love this extension as it does exactly what I need. I had some presales questions that were promptly answered. Wow guys, you're great! Extension: works ok out of the box but could have been a little easier. In my opinion, the code is not as clear as it could be. Customer support: efficient but not very fast, doesn't work on weekends. So here is always a but. In general, I'm satisfied and would recommend this mod. This is a really flexible solution for creating and using order attributes. I needed to include 3 custom attributes into invoice and shipping pdf, the extension helped me to solve that. The installation instructions for this ext should be more detailed. I had to clarify some things with the help of support managers; I also picked into a code, it could be more clear, I think. Other than that the module works as described, and it’s very flexible. If you need to gather additional order-related info from your customers, turn your attention to this tool. We just started running the store. From the very beginning we’ve faced a problem: we need to collect some unusual info from our clients. There is no way to do it using the native Magento functionality. We tried to find some workaround, messed with product info and have even thought about hiring a web developer to help us out. We learned about this module just by chance and it was a huge relief. It embodies all the necessary functions; it is quite flexible and very convenient. I strongly recommend it to all ecommerce merchants. The module works like a charm, I’m very happy with it. We needed some help with the installation and guys from Amasty support team were very helpful and proved to be real pros. It’s nice when things are done quickly and your store becomes more customer-friendly and enriches with additional functionality. If you need your custom options for orders, this is the way to go. Nice product and prompt support! Amasty developers have undertaken the challenge to improve the default Magento order info. And they managed to do it well. This module provides an easy way to add to the order screen any special fields you need. This extension allows amazingly flexible settings, you can customize the checkout process just like it’s needed. I'm convinced that any webstore would benefit from using it. This extension is really simple to install and to use: you can add any attribute on order model and you can choose on which step of the checkout process to display it. Very powerful! And most of all Amasty support is really good: they answer quickly and kindly. I surely recomend this extension. This extension is realy great for adding extra info to an order. Use it on the frontend so customers can add more info, or just in de backend for admin purposes. After installing there was a conflict with another extension, but thanks to the great support of the people at Amasty, it was all solved within a few hours. I always recommend Amasty extensions to my Magento clients, because of their greay support. Thanks guys! You can pretty much embed it to any customized payment module and also amasty support is great. They have a very efficient ticket support center for those developers that might need additional references. It really does its jobs as it is described. I recommend it. Order Status by Amasty is an outstanding product with equally great support. I am recommending this to everyone who would like to better manage the state of their orders. We have done a lot of customization and support has been great and very prompt. This is a great extension and Amasty provides good support. This extension has functionality into the Magento API, which make it a very powerful tool! As a Magento developer myself, I quickly realised from looking at the demo of this extension how much time it could save me on developing some highly specific checkout modifications. This is one of the most well-thought-out extensions I have ever used and integrates so seamlessly into the Admin that it would be easy to forget that it's not part of the Mage core. Due to having my Friday brain installed, I encountered a problem with the installation but a quick email to Amasty support and they logged in and fixed it for me in no time... Notice that I say they FIXED IT FOR ME, not TOLD ME HOW TO FIX IT. It's rare to get that level of support from anyone. If you're wondering if this extension is value for money: it is. If you're wondering if it has "X" feature, or allows you to do "Y": it does. Hats off to Amasty for a superb extension. Order attributes is a must have extension for every eshop!! Order attributes is a must have extension for every eshop! It makes the procedure to add custom fields to the checkout process as easy as it gets. But, the most important of all is not that Amasty have created an extension that really works...it is that their support is second to none! Im using this extension and it works perfectly. All support questions were answered very quickly and Alex was very helpful to me. Would definately recommend this product and also Customer Attributes works very nicely too! Easy to install and use. We made pretty extensive use of this extension with ease. Any questions I had were answered quickly and I've got to say the support is excellent. Orders now have a lot more detail collected up front and it's very clear in the admin what was entered by the customer. Have to say, Andrew on support was fantastic today. Helped us out greatly. Brilliant extension and top notch support. Thank you guys! Purchased and installed this extension. The install instructions were slightly incorrect meaning I couldn't get the module to work properly but the developer replied promptly and we got it working in the end. Does what I wanted and I would recommend it. Thanks again Amasty for yet another excellent Magento extension. Just installed it and we're really loving it. We had a small glitch after it installed, but Alex responded quickly and the issue was resolved in minutes. Much appreciated! Keep it up. The extention was easy to install and it does what it says on the box. The support was excellent fast and useful. I would highly recomend to anyone and any Company. I have used Amasty for several years (since Magento 1.3!) I have found the team at Amasty to be highly responsive and their extensions to be great. Highly recommended! Great extension! And great support too. Fantastic support - above and beyond! I have used this extension for quite a while - works perfectly! However, after upgrading my site I had a problem with the display - ages after any warranty period would have expired. Problem? No. Fixed within 1 day by the developer. A useful extension that is easy to configure in the admin panel. Installation might be difficult for somebody who isn't used to dealing with code but nothing too tricky. – New field type: file upload. Now it's possible for customers to upload/attach files during checkout on any checkout step. – Great new feature - display of order attributes based on selected shipping method. E.g. you can show some additional fields when UPS method is selected. Developed in cooperation with Commercers. – On-click trigger of calendar for date type field. – Fix for date fields processing. – Added store view check for attributes. – Improved display of order attributes in emails. – Fix for incorrect date value when no date selected. – Feature: can add attributes into invoice e-mails. – Order attributes can be shown on shipment/invoice grid and view pages. – New validation rule (25 characters length check). – Fixed display of line breaks for text area attribute on the order grid. – Fixed permissions for display of fields on the frontend. – Bugfix for multiple lines in PDF for text area field. – Fix for issue with 'back' button from the edit order attributes page. – Fix for error on customer orders page in the backend. – When an order is edited, the attributes are copied into the new order. – Added attribute of Yes/No type. – Fixed issue with multi-address checkout. – Incorrect field label in transactional emails. – Fix of error with filtering by attribute on the order grid. – Ability to display fields on order review step of checkout. – Speed improvement for dependent AJAX drop-downs. – Ability to create checkbox fields. – Bugfix for translations in emails. – Customers can see order attributes and the data they entered on order view page in customers' accounts. – Ability to automatically apply default value for cases, when the attribute field was not filled in or if the attribute is set to be not visible on front end. – Ability to include order attributes in PDF documents (invoices and packing slips). – Display of additional order fields (from billing/shipping steps) in the progress sidebar block on the onepage checkout. – New field type: date with time. With possibility to show it's values on the order grid. – Editing order attributes' values after the order was placed, right from the order view page. – Dependent dropdowns. If you have 2 dropdown fields and want the second dropdown to display values depending on what has been chosen in the first field - this is now possible. – Ability for admin to fill in custom order attributes when creating orders from admin panel. – Admin can enable saving of values of custom order attributes for next checkout. This option works for registered customers and can be set individually for each custom order attribute. – Ability to use order attributes in any email template that has order object (for example order confirmation email), with possibility to process them by functions. – Add custom attributes to order confirmation emails that go to customers (optional). – Choose which store view(s) to display the attributes at. – Display the custom attribute values at the order grid. – Sort and filter orders by custom attributes for easy reporting.